World's Fairs were once an important way to show the world embroideries, laces and other textile arts. Many times prizes won at various fairs are cited in history books as a testament to excellence. 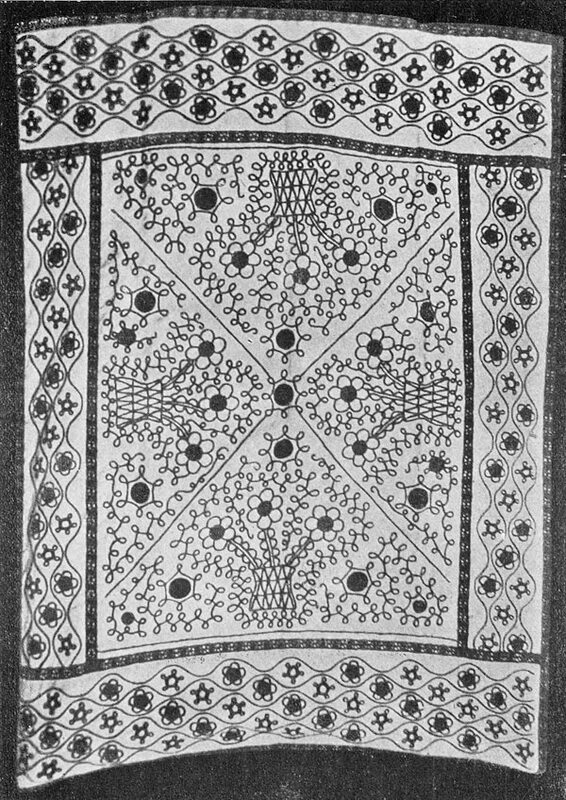 In the 1929 publication on Aemilia Ars needle lace, Merletti e Ricami della Aemilia Ars, there is an entire page dedicated to a list of the prizes won by this outstanding technique. Exhibitions in Italian cities like Milan, Rome, Turin, Genoa and others; France, Belgium, the U.S., Denmark... the list goes on. 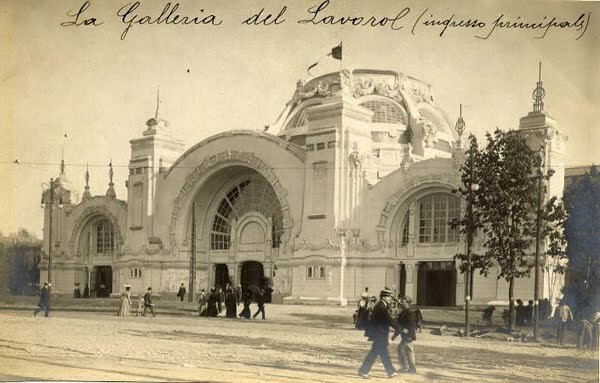 At the 1906 World's Fair in Milan there were actually embroiderers stationed in the Galleria del Lavoro [Work Gallery] hand-stitching souvenirs for fair-goers to purchase. In the Pavilion which housed the Work Gallery there were all kinds of things for which production could be witnessed besides the embroidering of handkerchiefs, like the printing of magazines, the minting of souvenir tokens – to name only a couple. On the embroidered handkerchiefs, besides the Fair's logo or flowers, one could also have one's name hand-embroidered thereby personalizing one's souvenir. The 1906 World's Fair in Milan saw more than 5 million visitors. How many embroidered souvenirs were made, I cannot guess. Thanks to Ampelio at the NING group MI1906 for the photos and data, without whom this post would not have been possible! In the Victoria & Albert Museum in London there is a 16th century Italian Blackwork sampler. 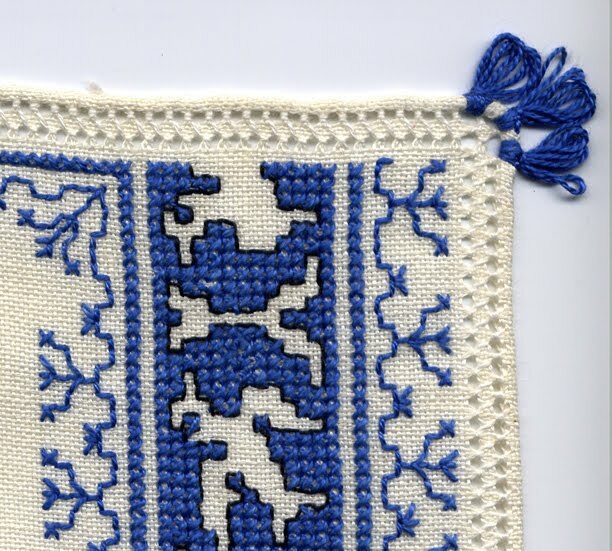 This sampler fascinated American needlework teacher Dakota Rogers so much that she reproduced patterns from it to make an exquisite sampler of her own called Tiramisu. La Muta by Raphael depicts some Italian Blackwork, check out the cuffs. 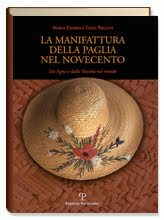 Lucia Petrali Castaldi in her Dizionario Enciclopedico di Lavori Femminili, 1941 lists Punto Scritto being interchangeable with Punto Volterrano [Volterra Stitch]. There are no examples pictured and no other information. 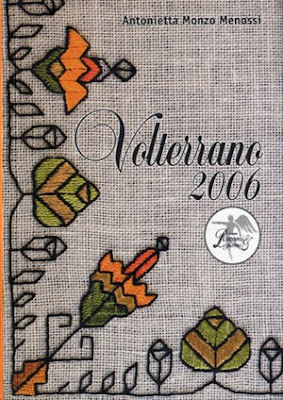 In the introduction of the 2007 book Volterrano 2006 by Antoinetta Monzo Menossi, Rosalba Niccoli talks about the difficulty she experienced in finding any trace of Punto Volterrano in Volterra, Italy. It seems there were two kinds of embroidery: the oldest being "il punto scritto volterra" [Volterra Backstitch], said to have been executed in gold thread though no proof or extant samples survive; and "il punto volterrano" [Volterra Stitch] created by a teacher named Emma Gazzarri from the Technical Institute in the mid 1900s. 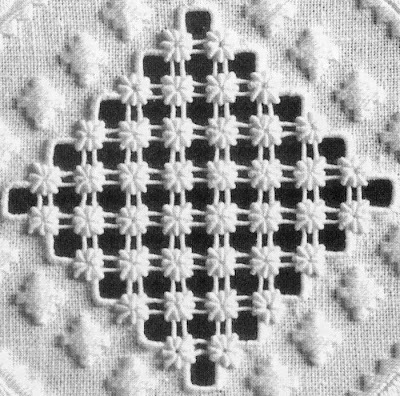 Antoinetta Monzo Menossi took all this information into account when creating patterns for the small volume of delightful designs (text in Italian). Other Italian books on Blackwork are: Poesia di uno stile: Interpretazione Liberty by Manuela Alida D'Anna, 2009 (text in Italian, English and German) charming designs in Art Nouveau style with excellent technical execution instructions; L'Arte del Blackwork, 2007 and Idee in Blackwork, 2009 by Bruna Scagnetti & Gabriella Antoniazzi (text in Italian and English) of the association Il Friuli Ricama. All books listed are available from Tombolo Disegni. Click on: Libri/Books, then Libri Ricamo, then Ricamo Italiani or Blackwork (different books are listed on different pages) – send an email request to order. Thanks to Armida for the Palazzo Davanzati sampler photo! 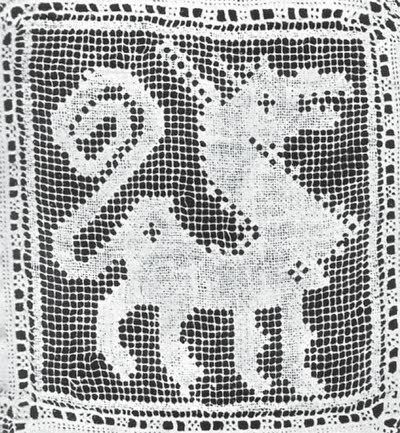 I don't know why, but I really like monsters in needlework. 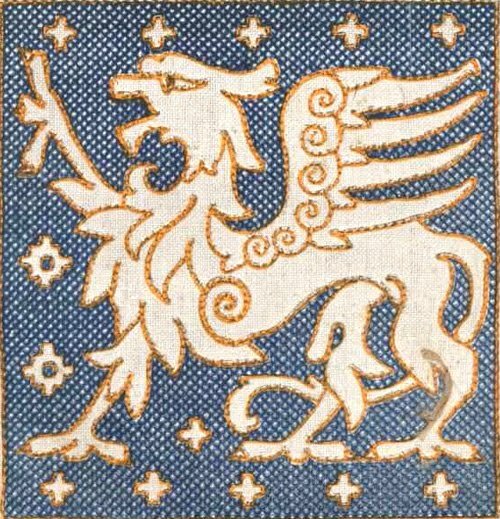 I look for them and delight in finding them often in Italian needlework. 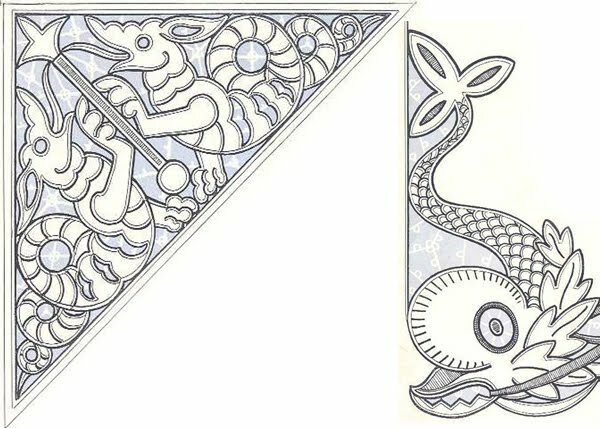 Assisi embroidery patterns are full of monsters! 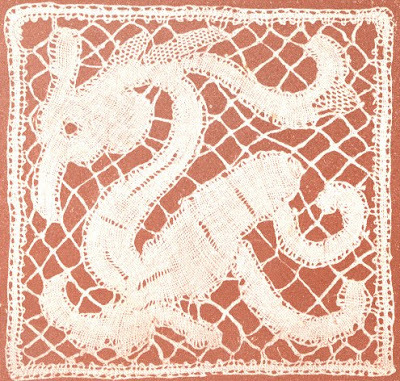 Above images from Elisa Ricci's Old Italian Lace, 1913. 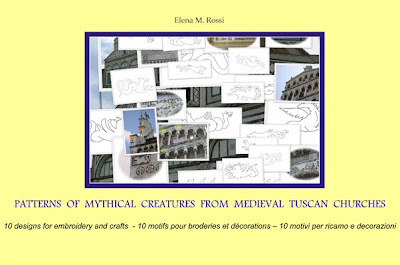 I could go on and on (and probably will at some later date) but what I originally wanted to tell you about was Elena Rossi's new digital pattern book: Patterns of Mythical Creatures from Tuscan Churches. 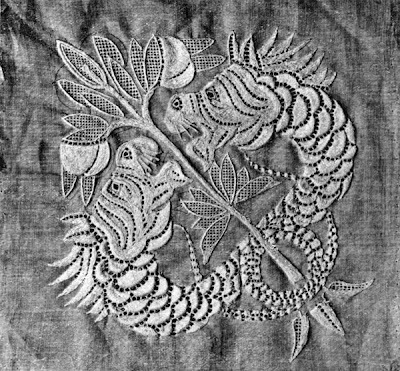 In her travels, Elena photographed strange monsters from the façades San Michele in Lucca and San Damiano al Monte in Florence and then has created designs for embroidery or other crafts from them. 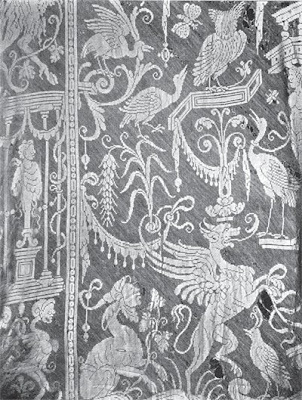 In the book each pattern is accompanied by a picture of the façade that it comes from. Every pattern is presented facing both right and left for ease of reproduction. 10 different monsters means that you could do a monster sampler! When Elena at Italian Needlecrafts got some no. 5 Coats Cucirini (Anchor) multi-coloured Pearl Cotton thread I immediately wanted some (my inner thread addict reared its ugly head). I was thinking of making tassels because no. 5 Pearl Cotton is so nice for that - even better no. 3 Pearl Cotton but that has become very hard to find. I ordered 4 skeins thinking that I'd make 4 small simple tassels for the corners of a tablerunner. I chose colour no. 1385 which is brown/gold/cream but it was a tough choice. I really wanted no. 1355 (green/yellow/blue) too. The skeins arrived quickly and I leafed through Nappe e Pendagli by Giuseppa Federici for something simple - I love this book! 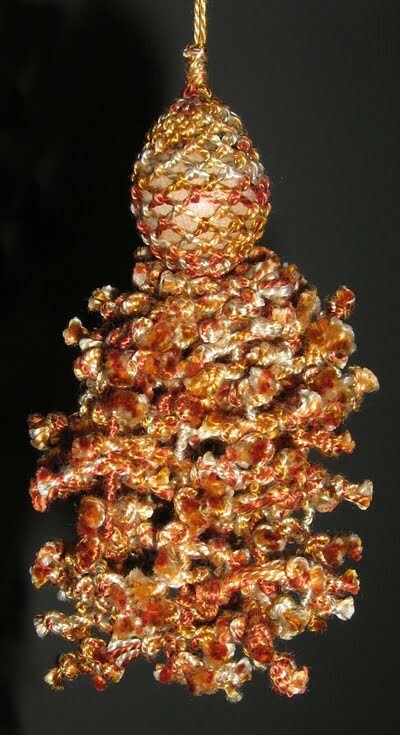 I found a tassel I liked right away and went hunting for a wooden bead for the head. Some years ago there was a HUGE crafts store near here and when they closed down I bought all kinds of things that I "might use later"... so I already had several sizes of wooden beads at home. I picked a 7/8" one and made a wrap around a pencil with a single thread to get started. Now, here's where I didn't think ahead. The pattern in the book was made with Cotone Povero which is an undyed cotton yarn a little thicker than kitchen string. It is almost twice the thickness of Pearl Cotton no. 5. The pattern said I wouldn't need to increase the number of Punto Avorio stitches from 10 as the thread would stretch around the wooden bead. Great! I forged ahead. After making 10 Punto Avorio stitches around the pencil loop, I slipped the loop off the pencil and held it on top of the bead to continue. This is a little tricky to do - you need a third hand to hold it all steady, so I dropped my bead enough times to work up a sweat in frustration. A couple of rows later however the stitches were really opening up and you could see the wooden bead. I decided I didn't mind it so I didn't increase the number of Punto Avorio stitches. At the bottom I just ran my thread end under the tighter fitting rows of stitches to hide it. 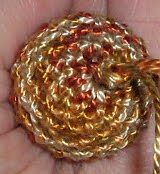 I got out my trusty Kreinik Custom Cord Maker and wound four lengths of thread into a cord. Knotting the cord every centimetre I managed to get about 7 or 8 little pieces like the ones here. This time I was a little better at measuring one centimetre! 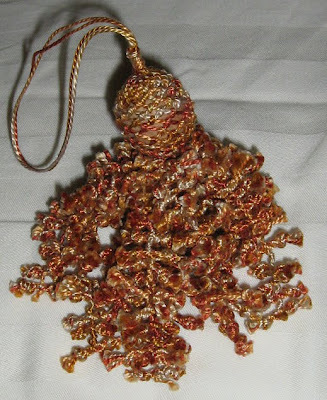 The pattern called for ten tendrils with varying numbers of knotted pieces tied to them. I made a few cords, knotted them and cut them into little pieces. After attaching a few tendrils I decided that I'd better use another skein of thread for more pieces because I wasn't anywhere near having enough - my tassel looked quite sad and its head was too big. I really love the way it looks: nice and full. The multicoloured Pearl Cotton is perfect for making an interesting tassel. 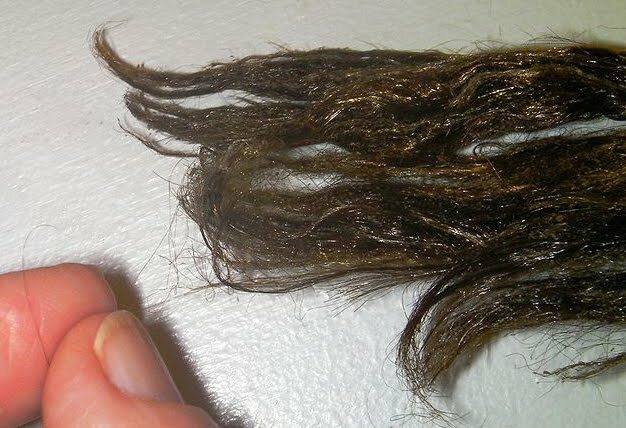 Each little piece has a knot before and after to keep it in place on the tendril length and then between some of the pieces are one, two or three knots just to give varying length. I did end up with ten tendrils. Some have only seven knotted pieces on them and some have as many as 20. Each tendril is different which creates a lovely effect! Now (darn!) I must order more thread. Nappe e Pendagli is available from Tombolo Disegni (click on Libri/Books, then Libri/Ricamo, then Ricamo Italiani - send an email request to order). Though I have visited Italy often, before 2007 I had never been to Mantua, the city of Isabella D'Este and the Gonzaga family. 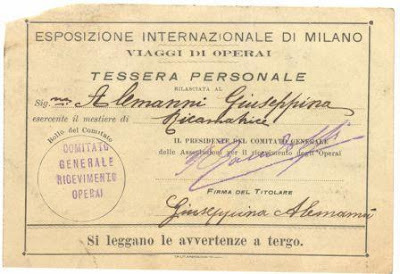 When I was going to the Italia Invita Forum in 2007, a kind lady who I only knew "virtually" that is, through online communication, invited me to stay a few days with her and her family in Mantua. As I was taking my daughter on her first trip to Italy, I wanted to show her places that I knew and loved, but I had always wanted to visit Mantua and so, not knowing what to expect, we arrived one hot afternoon by train in Verona where we were picked up, shown around central Verona and then whisked off to Mantua (about an hour's drive). It was fantastic. A smaller city surrounded by three man-made lakes, no throngs of tourists... I highly recommend it. Of course our host did needlework, that was how I'd met her online and during my stay she showed me many of her ambitious and beautiful embroideries. 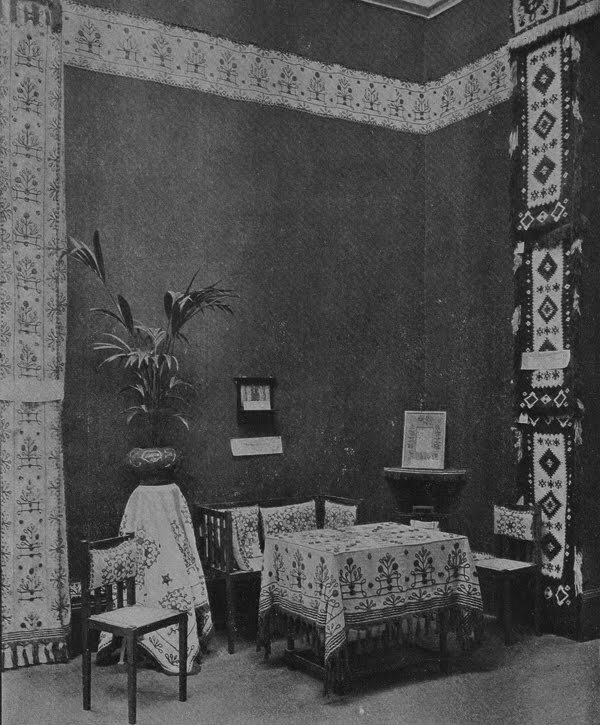 Particularly outstanding was a set of numerous curtains which covered the windows on one wall of her living room. 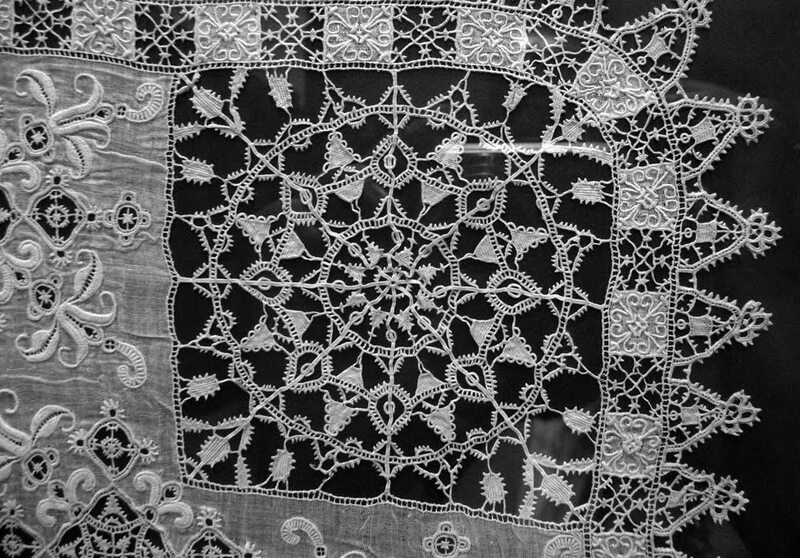 Done in Punto Antico embroidery, there were literally hundreds of Bullion Knots! I marveled at them (probably with my mouth hanging open) and was so awed that it never occurred to me to take a photo. Then next time I went to Italy, I stayed my first few days in Mantua once again to visit my friend. This time I was armed with my camera and determined to capture those Bullions on film. I'm sorry to say that the photos did not turn out. If memory serves me correctly, this is pretty close to how they looked (that is: the open part with the Bullions - eight per cluster! ), and there were more than one of these motifs on each curtain. 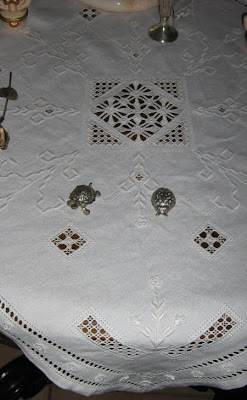 Click on the photos for a closer look, there are lots of Bullion Knots (Punto Vapore in Italian) here as well! Byssus is produced by a large shellfish found in the Mediterranean Sea called Pinna Noblis. Known also as "fish wool" or "sea silk" this extremely rare and valuable thread is mentioned as far back as biblical times and was produced until the early 20th century. The threat of extinction halted production and now the true Byssus thread is only produced in very small quantities in Sardinia. Chiara Vigo from Sant'Antioco, Sardinia has sworn an oath to protect and continue the art of Byssus making. She has studied how to collect the Byssus without harming the animal that makes it. She takes her oath very seriously and seeks to safeguard the source of Byssus as well as educate people about it. Much of what she has learned was passed down from her grandmother. One Pinna Noblis produces 10 grams of raw Byssus per year. The raw Byssus can only be collected once a year in a very small window of time. 10 grams of raw Byssus becomes only 1 gram of thread. Once the Byssus is brought on land, it is soaked in freshwater for 25 days. This water must be continuously changed day and night until there is no more salt in the water. The Byssus is then left to dry in the shade. When it is completely dry it is cleaned and combed. This process takes several hours and then the filaments are extracted, collected and transferred to a small spindle made of juniper wood, wound on by hand. The Byssus thread is now ready to be handwoven into a piece of fabric mounted on a frame. There is a 38 minute interview with Chiara Vigo here under the heading: Sant'Antioco, intervista a Vigo Chiara (Video). It is in Italian and Sardinian dialect. If you have the patience however at 29:40 (29 minutes and 40 seconds in) she demonstrates how to make the thread and weave it. See some of Chiara's works here (click on the photos for a closer look). There is an historical article in English with photos here. 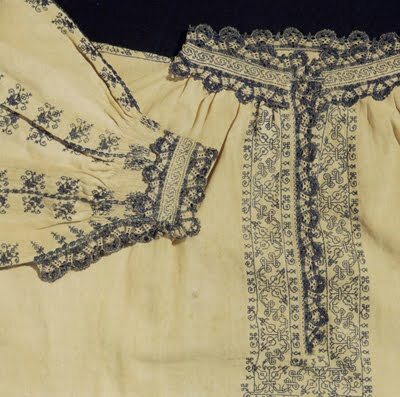 Today fabrics are produced in Italy for embroidery which are called Byssus (Bisso in Italian) but they do not contain any of the Pinna Noblis filaments. They are high count linens and quite transparent. Perfect for Shadow work embroidery on curtains! Images taken from Wikipedia, thanks to John Hill. Savignano sul Rubicone (until 1933 called Savignano della Romagna) is located near the north-eastern coastline of Italy, between Ravenna and Rimini. 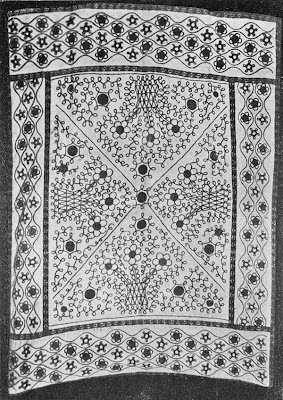 Savignano Braid Embroidery, which originates from this area, was once used to decorate cattle and oxen in local country expositions and fairs - kind of like county fairs as we know them. Kind of like the fairs we know, but of course different. The cattle and oxen were paraded along the main routes of the town so the people could admire and appreciate them better. Animals for sale were also dressed to impress. The country folk made covers for their beasts' parade and decorated them with simple yet effective motifs on homespun cloth using cotton, linen, hemp or woolen threads. In the early years of the 20th century when all over Italy school-workshops were springing up to offer women education and means to support themselves through needlework, Savignano was not excluded. Countess Maria Luisa Rasponi of Ravenna was responsible for the School of Savignano di Romagna where she revived this ancient technique and where reproductions of antique motifs (from antique covers that she was able to recover) were reproduced on tablecloths, bed covers, curtains and other household items. Savignano Braid Embroidery entails applied braids and chains which form rustic patterns in traditional colours of blue, red and off-white. Simple or knotted fringes border the pieces or tassels adorn the corners. Suitable fabrics are hemp or linen. Savignano Braid Embroidery won several awards at various fairs and exhibitions of the period and enjoyed success until the death of the Countess Rasponi in 1919. It is occasionally mentioned in various magazines and exhibition reviews until the early 1940s. 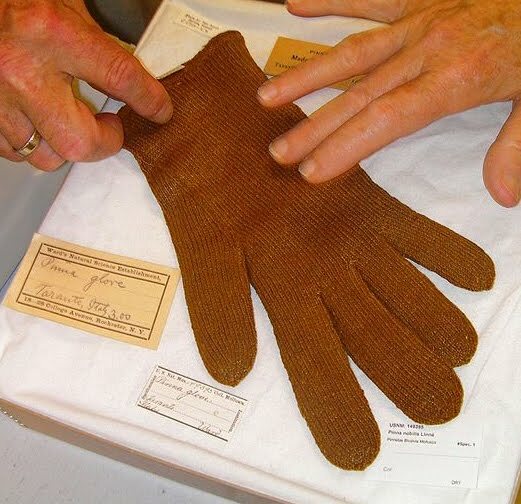 In 2007, acting on information written in the early 20th century, a small group of Italian women went to visit the Romagna Ethnographic Museum of Forlì in the hopes of finding one of the antique oxen covers that the Countess Rasponi had recovered. 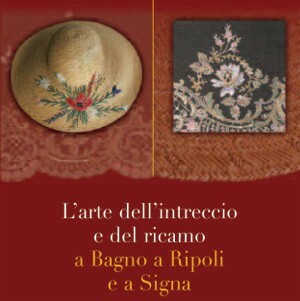 The tale of their discovery and the history of Savignano Braid Embroidery along with the basic stitches and patterns can be found in the book: Ricami a Treccia di Savignano, 2007 by Bianca Rosa Bellomo, Cristina Notore and Paola Paglierani (text in Italian). 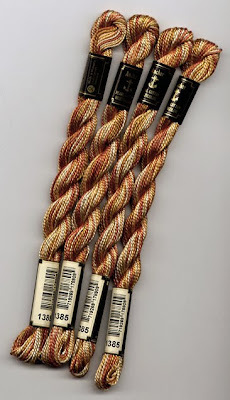 The TALEA Officina Tessile teaches Savignano Braid Embroidery, and as mentioned here previously, offers kits (though not yet for sale overseas). 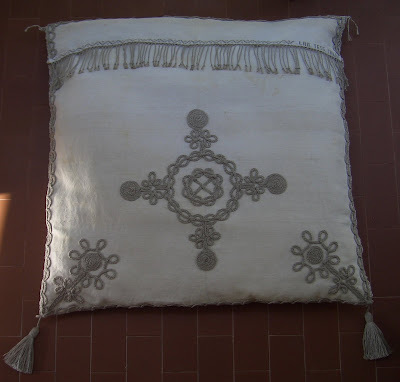 If you go through the Gallerie Foto on their website you will see many works of Savignano Braid Embroidery. There is a short article (in Italian) with a picture here. You can download a pdf file of Peasant Art in Italy here (Holme, Charles, The Studio, 1913). Nothing cheers me up more than a package from Italy. When I arrived home after a long shift yesterday, my spirits were immediately uplifted by seeing an envelope sticking out of the mailbox with Italian postage stamps on it. It was the latest book on Punto Antico by Bruna Gubbini! It is called: Ciclamino, oggetti a punto antico and has designs done in mauve tones. The introductory page says that this is the first in a new series of smaller projects in Punto Antico embroidery which "...can be made in a weekend, to pass a rainy day, to make an unusual gift..."
There are 60 pages and at the beginning are the stitch instructions for the stitches used in the projects found in the book, the text is in both Italian and English and there are lots of close up photos. There is very little cutwork, only a few designs call for it, so if that's what has been stopping you from trying Punto Antico, here's your chance to try it out without stressing too much over cutting the fabric. You can purchase this book directly from the Associazione Il Punto Antico. Many patterns call for Graziano 28 ct Riviera linen. Thread listed is Retors d'Alsace or Alsatian Twist by DMC which is not available in North America, you can use Pearl Cotton as an acceptable substitute. If you're like me and like to hunt down what is called for in designs, Tombolo Disegni sells it, (Click on: "Negozio", then "Retour d'Alsace" - send an email request to order) colour numbers correspond with other DMC threads. Whenever I want to investigate something that someone tells me about, I leave their email in my inbox until I can get to it. Sometimes this takes a long time. Last November, I received an email announcing the 6th Annual Hemp Fair in Gambettola, Italy which was sponsored by the hand-stamped fabric manufacterers Bertozzi and Pascucci. At this exhibition lessons in Savignano Braid Embroidery were offered and in the email was a photo of a cushion done in Savignano Braid Embroidery which was auctioned off with proceeds going to charity. Now, I already knew about Savignano Braid Embroidery, but I was interested in the school that was teaching it as the instructors listed where women that I had met: Cristina Notore and Paola Paglierani of Italia Invita. 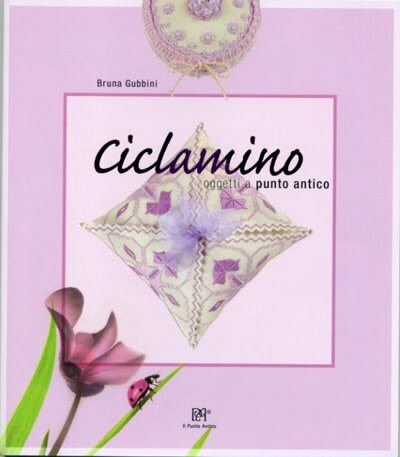 These two delightful women are co-authors with another woman, Bianca Rosa Bellomo in a book on Savignano Braid Embroidery, and Cristina Notore wrote a beautiful instructional book on Macramé borders called: Macramé in Toscana which is already in it's second printing. It has taken me 8 months to investigate, but better late than never! The school is called: TALÈA Officina Tessile and is currently holding courses in three different locations: Rimini, Riccione and Bellaria – all on the north-eastern coast of Italy. Cristina and Paola have participated in numerous exhibitions and have won many awards for their work. If you visit the TALÈA Officina Tessile website, you can check out many photos and watch a video which shows a little of what you might expect to learn in their Macramé courses. Clicking here will show you some of the techniques of needlework that they teach and there are even kits available for the techniques of Macramé and Savignano Braid Embroidery. When I asked if these kits where available for overseas customers, Cristina told me that they are not set up for online sales at the moment but are looking into it. She promised to get back to me with details after summer holidays. 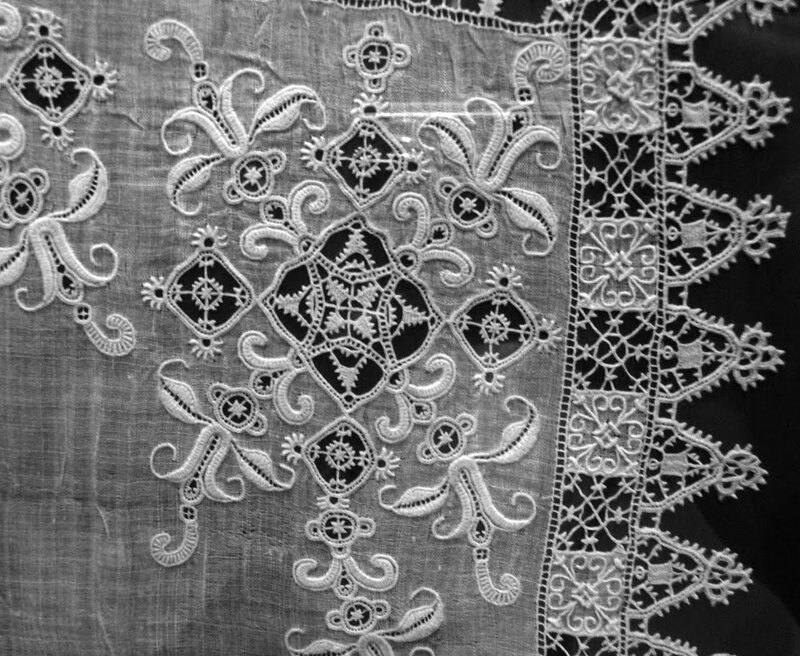 I have a fascination with Sardinian Artwork, especially traditional motifs which are heavily used in the different Sardinian textile arts. 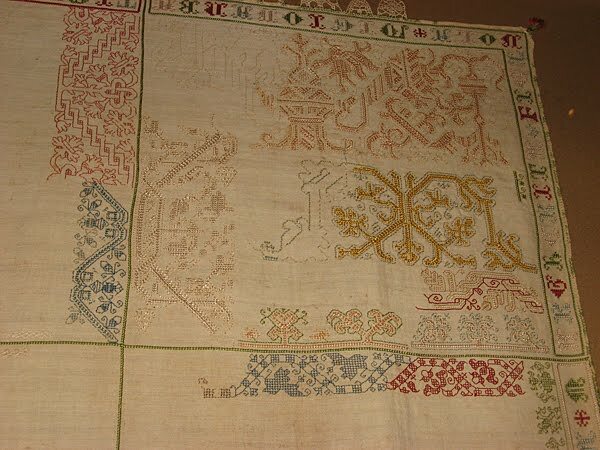 Let's look at some Sardinian Whitework embroidery called Punt'a Brodu. 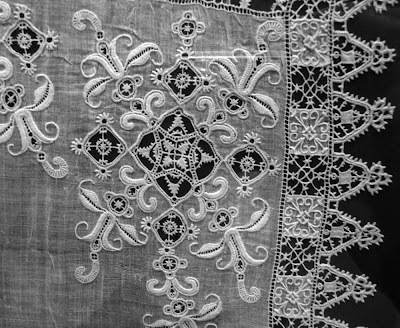 Punt'a Brodu can be done on any kind of compact fabric and is made up of delicate ornamental motifs which form arabesque designs. Motifs are based on animal, vegetal, religious and domestic forms. 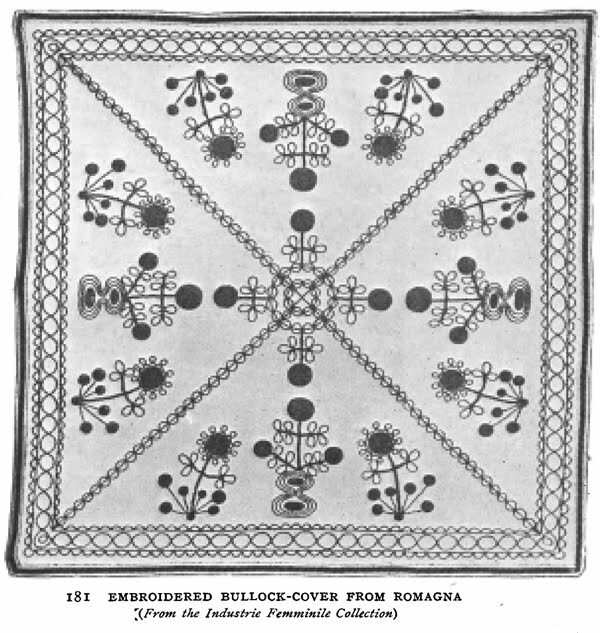 Traditionally it is used to ornament shirts and blouses for both men and women. Shirts and blouses are usually ornamented with Punt'a Brodu on the collar, cuffs and chest area. 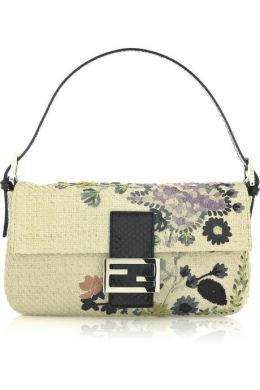 The embroidery is completed separately and is later applied to the clothing item. 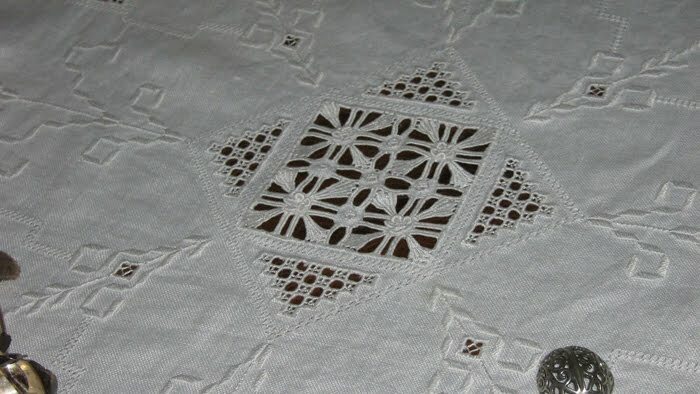 All decorated parts are then finished with edgings of Crochet lace. 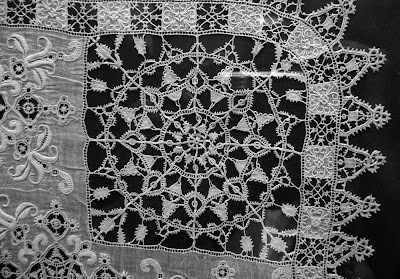 Punt'a Brodu is usually combined and complimented with two other kinds of Sardinian needlework, Punt'e Nuu and Puntu Vanu. 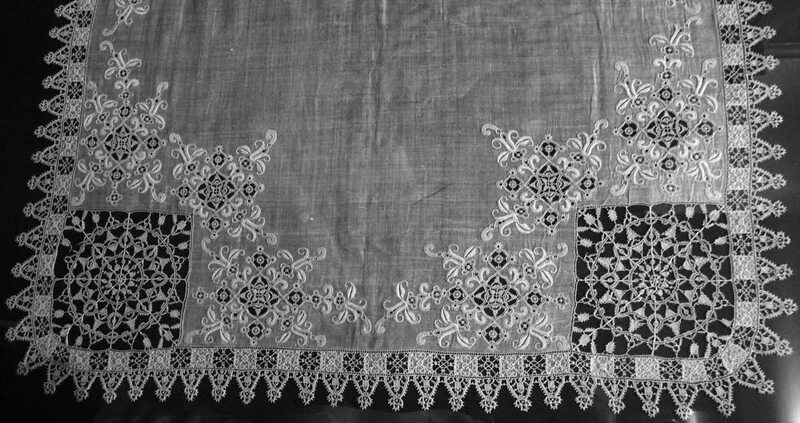 Punt'e Nuu is a knotted Counted thread technique and Puntu Vanu is similar to smocking. Both of these embroidery types will be presented in separate posts at a later date. 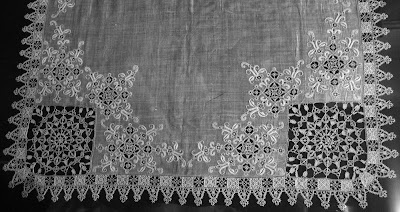 Finished Punt'a Brodu needlework is very textured and often the individual motifs are difficult for the untrained eye to recognize. This work is traditionally executed in white thread on white fabric, the only exception is the motif:"su caboniscu" [a cockerel] which is embroidered on the purple velvet of the male corset with silk threads in the five traditional colors: green, orange, blue, yellow and purple. There is an excellent series of videos online to watch about this needlework. Make sure to view them in order and set the window to display 420p for higher resolution! The first video (8 mins 17 sec). The second video (7 mins 14 sec). The third video (6 mins 11 sec). If you haven't had enough there is a slide show of still pictures to watch (5 mins 8 sec). 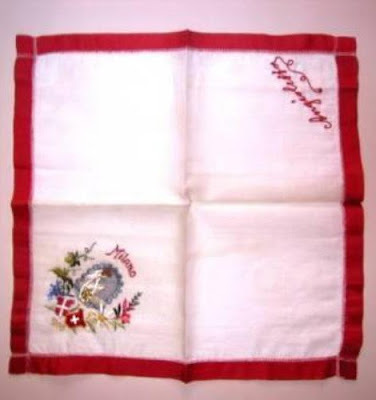 The following handkerchief is in the Poldi Pezzoli Museum in Milan. I made the photo in black and white so you could see more details. 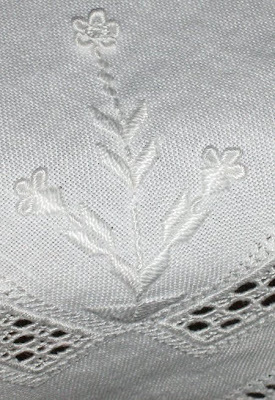 The handkerchief is in fact, white with white thread work. The ground fabric is a very fine linen and the threads used in the needle lace and Whitework are also very fine. There are a lot of Curl Stitches and Bullion Knots. It's hard to see, but the leaves are filled with French Knots. There are so many picots! Even the border is needle lace. Can you imagine how much time this must have taken to make? This would really be a handkerchief you'd want to carry around and show people! 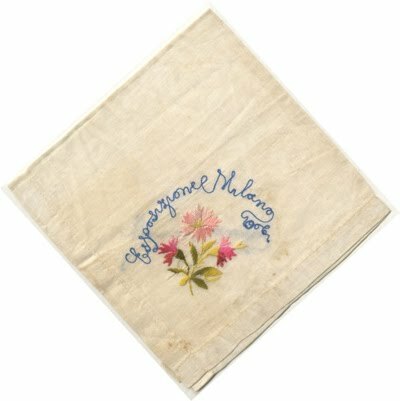 The style of this handkerchief reminds me of the one we looked at in Florence at the Palazzo Davanzati Museum. I wonder if they were made around the same time? Thanks to Stefania for the photos! 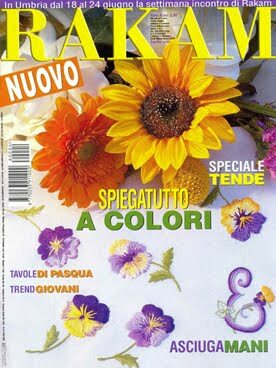 RAKAM is an Italian needlework magazine which started up in 1930. In the year when it should be celebrating it's 80th birthday, it has had quite a shakeup. Many non-Italian speaking readers who either can purchase it at a local newsstand or have a subscription might be wondering what has happened to it. Instead of being a celebratory year for RAKAM this year has been dogged with much rumour and speculation so I will try to only state facts that I personally know to be true. 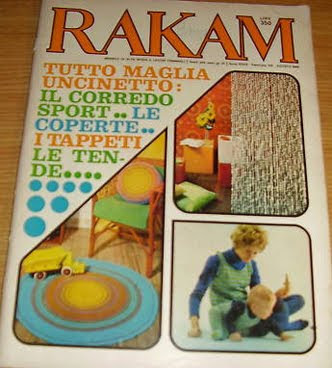 The April 2010 issue was the last RAKAM issue under the publishing company Edizioni Mimosa which was in liquidation. 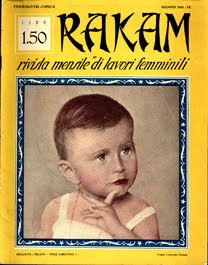 The new publisher, Guido Veneziani Editore, took over the name RAKAM only. This means all subscription records are not available to them and so they have no way of contacting subscribers to the previous publisher. If you stopped receiving your magazines that is why. 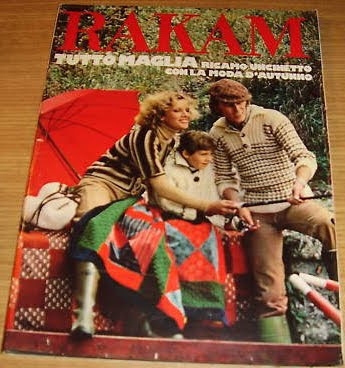 As you can well imagine this has upset many faithful subscribers to RAKAM and undoubtedly the other magazines that Edizioni Mimosa published. If you tried to contact them through their website in the last few months your web browser probably warned you that the site was infected with a virus. Last year I visited the offices where production of RAKAM was executed in Milan. I know that the women I talked to then are no longer with the company. This includes the brilliant illustrator who drew those comprehensive stitch and pattern diagrams. My own subscription to RAKAM coincidentally was due for renewal in May of this year and I had already chosen not to renew it due to increasing costs for overseas subscriptions. I have held a subscription since 2001 and am very sorry to not be getting it anymore as it has always been full of eye-candy and inspiration for me. I am told the May 2010 issue of RAKAM was a bit of recycled articles but that the June 2010 issue showed promise although photo quality was not the best. I have not seen them. The publisher Guido Veneziani Editore has purchased only the name RAKAM from Edizioni Mimosa in liquidation. They have not, therefore, assumed commitment for any previous contracts with Edizioni Mimosa. This also holds true for subscriptions which GVE has no possibility of dispatching, not being in possession of the subscription files. However to us at GVE it does not seem right to disappoint the readers of a magazine with so much history and so many loyal customers. Therefore we have decided to send, free of charge, the number of issues owed for the previous subscriptions with the other publisher. To this end, we invite you to contact our Subscriptions office at 02 58205207 from 10:00 am to 12:00 pm and from 3 pm to 4 pm Monday, Wednesday and Friday. We take this opportunity to remind you that every week you can find Guido Veneziani Editore’s weekly news magazines on the newsstands: Vero, Top, Stop and Vera as well as the monthly Vero Cucina and Vero Salute. 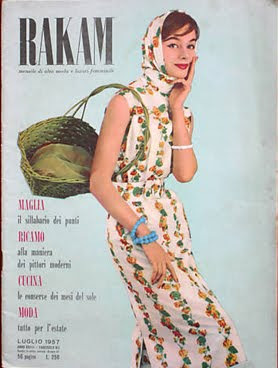 Interesting to note here that the new Director of RAKAM and the Director of Ricamo Italiano, another Italian needlework magazine are now the same person. I couldn't find any cover art for any 1940s editions which is why there are only 7 photos! 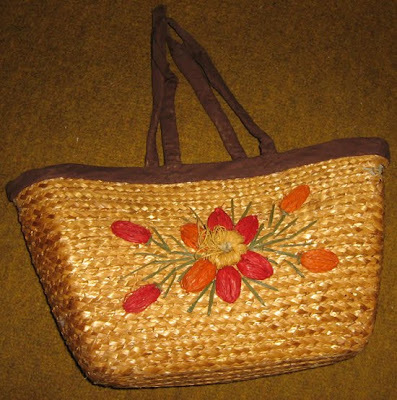 My grandmother's knitting bag was made of straw with flowers embroidered on one side in Raffia. She always brought it with her when she came to visit and it was always beside "her" armchair in her living room when we went to visit her. 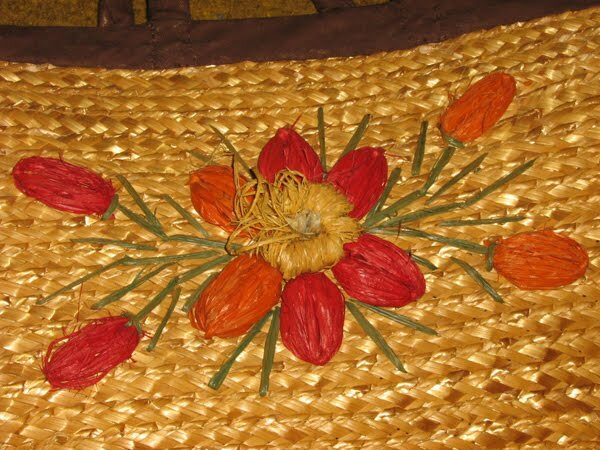 Recently my mother has been cleaning out her sewing room and she decided that grandma's old knitting bag should be thrown away as it is somewhat chewed up on one side and the centre of the embroidered flower has become undone. I couldn't let it go without taking some pictures, my grandma was a great needlewoman and did many forms of needlework though I don't know for sure if she made this bag. The May 2010 issue of Ricamo Italiano, an Italian needlework magazine has an article on the tradition of Raffia embroidery in the Mugello region of Tuscany. In particular they talk of the embroidery of Maria Margheri Manetti of the Embroidery School of Borgo S. Lorenzo, a town about 30kms away from Florence. 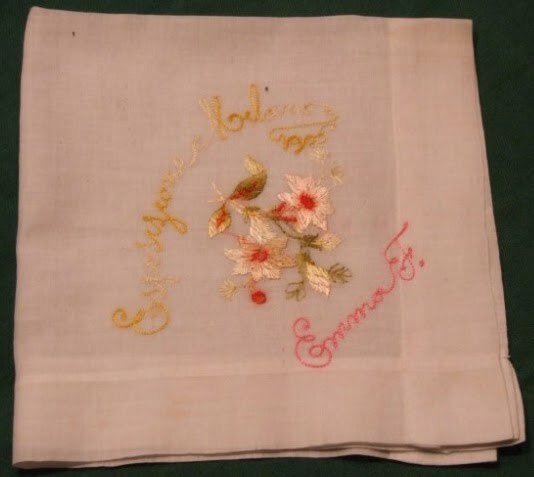 The article says that this embroidery dates back to the 1950s when the works of local women were exported through the town of Signa to the rest of the world. In Signa is the Museum of Straw and Plaiting [Museo della Paglia e dell'Intreccio] "Domenico Michelacci" where they also teach courses (click on the far right hand part of the photo to get a close up of a woman embroidering in Raffia). The Museum has published several books, a couple of which I will endeavor to get my hands on! 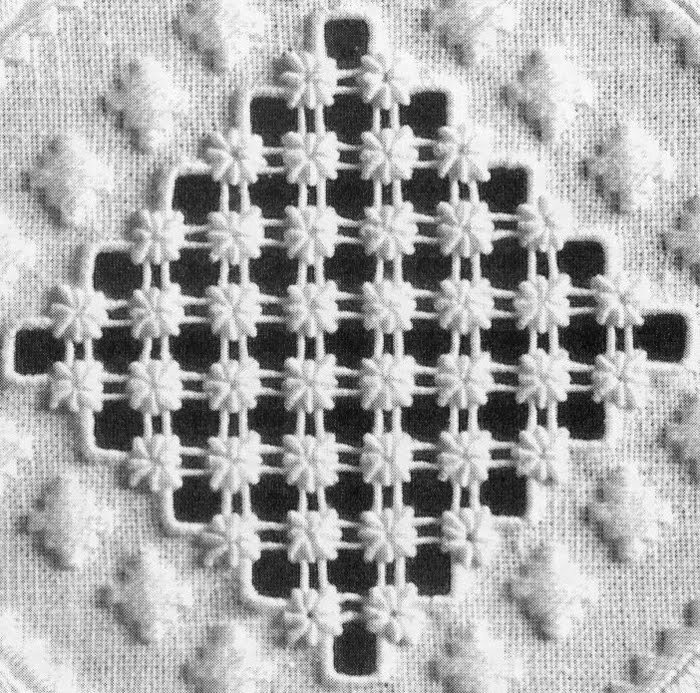 I found reference to Raffia embroidery in the Dizionario Enciclopedico di Lavori Femminili by Lucia Petrali Castaldi which is dated 1941. 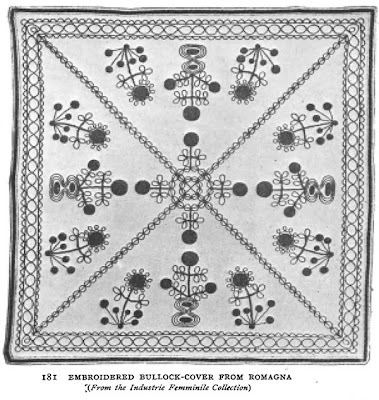 Raffia embroidery is traditionally stitched on straw or hemp cloth. Today many different colours of Raffia are available, I found some here. Stitches used are those of classic embroidery like Straight Stitch, Feather Stitch, Running Stitch, Chain Stitch and Buttonhole Stitch. On this Italian woman's blog she did some Raffia embroidery on a bag and shows you her great-grandmother's embroidered Raffia bag as well.